We know from the research that children are not harmed by the fact of their parents separating and divorcing. 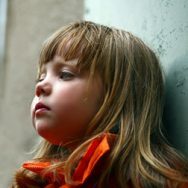 The real harm to children is caused when the understandable differences between separated parents turn into ongoing disputes and arguments so that the conflict is allowed to continue unresolved. So what should parents do? Firstly, children need reassurance that both parents love them. The next tip comes from the highly respected psychologist and researcher Judith Wallerstein carried out research with children whose parents had separated and she followed them over a long period of time from their childhood through to their adult lives. Her conclusion over 25 years of such research was that the best thing any separated parent can do for their child is to give their blessing and approval for their child to enjoy their time with the other parent. So how can you make the best arrangements and resolve arguments, disputes and family conflict over children or financial settlements or divorce settlements? Don’t sit with continuing disputes for too long. Conflict needs to be resolved effectively. Resolving conflict and disputes efficiently and effectively means a ‘win-win’ so both parents have their respective needs and interests met. This means there should not be any continuing simmering resentment later on. In Mediation you meet round the table and have an experienced Family Mediator to facilitate and enable the two of you to make arrangements that work for both of you. find solutions that again meet the needs, interests and values of your family. Hopefully in this way we are gradually changing the way in which families are supported and experience separation and divorce. The hope is that it will become as socially unacceptable to have continuing unresolved family disputes and conflict as drinking and driving has become unacceptable. Disagreements are natural and inevitable when there is a divorce or separation. The arguments do not have to be a permanent feature of family life after divorce. There has to be a better way. There are better ways. Many thousands of families are successfully resolving family disputes using the collaborative family law approach or mediation.